This statistic shows the growth of the gross domestic product (GDP) in Denmark from 2007 to 2017. 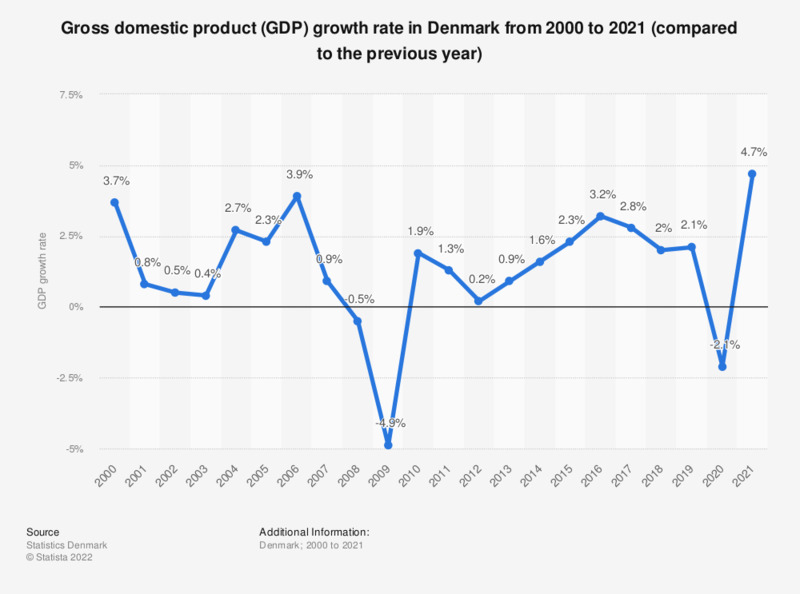 The Danish gross domestic product declined the most in 2009 during this period, when it decreased with 4.9 percent compared to the previous year's GDP. In 2017, the GDP increased with 2.3 percent compared to the previous year.